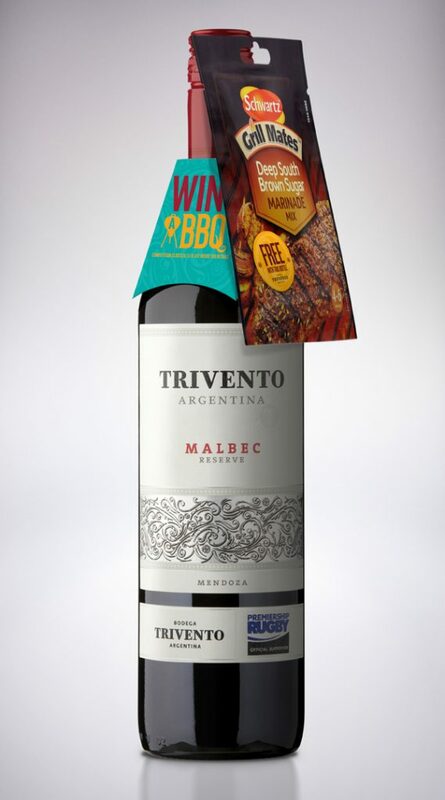 Grand Central Creative have partnered Trivento, the Argentine wine brand with spice specialists Schwartz to offer free Grill Mates marinade sachets attached to a neck-collar, which are being stocked in Tesco and Morrisons this summer. The campaign is designed to build on the wine’s association with BBQ and bold flavours. It is also offering consumers a chance to win one of ten upmarket Weber barbecues worth £500 and a case of Trivento Reserve Malbec via a bespoke promotional website www.triventowines.co.uk. The promotion will run on 190,000 bottles until the end of October 2016 and coincides with the start of the 2016 Olympic Games in Rio. All planning, creative and activation is through Grand Central Creative.